Selling a home isn’t just about slapping down a fresh coat of paint—you need to delve into home buyers’ brains and figure out what makes them tick. From the moment they spot your listing to the instant they walk through your door, what persuades them to make an offer, and stick around to close the deal? 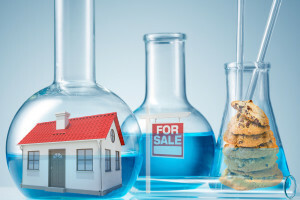 To find out, we culled the most recent scientific studies that examine the home-buying mind to find out what turns it on—and off—and how you can use this information to your advantage. Take-home lesson: Since buyers know within seconds of entering your home whether it’s The One, you’ll want to spiff up the area they’ll see in that time frame—namely, your foyer. “It can be a challenge to keep this area tidy since that’s where homeowners put their mail, keys, coats, shoes, dog leashes, and other items,” says Sissy Lappin, a real estate broker in Houston. Containers are key for keeping this mess under control: baskets or racks for shoes, bowls for keys and change—and, unless you have a nearby closet, you can never have too many coat hooks. Be sure to stash any seldom-used items elsewhere. Anywhere else. Take-home lesson: If you go for a scent, keep it fresh and simple. Spangenberg recommends lemon, basil, or pine. You have no time to grab scented candles? Another number no-no? Pricing your home with round numbers with lots of zeroes, like $200,000, seems like you pulled this number out of a hat. A more specific number like $217,000, on the other hand, makes it look like you’ve really done your homework and know exactly what your home is worth. One study by Columbia Business School found that negotiators who ask for specific amounts are more successful than those who make rounded offers. Take-home lesson: Avoid the round number trap and make sure your asking price is specific. Take-home lesson: Pay attention to presentation. But you may not have to open your wallet for a professional stager; the basic premises are simple ones that anyone can put into practice. For one: If you’re already moved out, get some furniture back in the house. “Seeing a house without furniture is like seeing someone naked in bright light: You can see all their flaws,” says Lappin. Or, if your home does have furniture, make sure it’s the right furniture for each room.